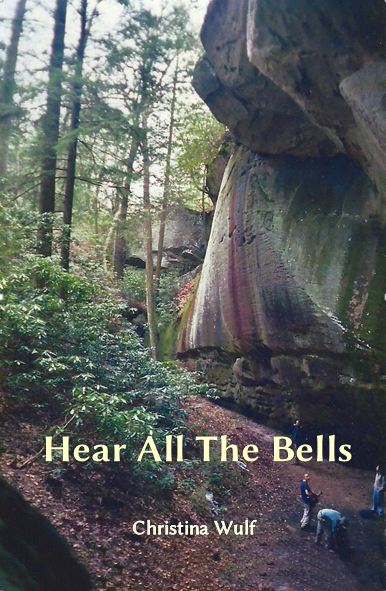 Letter to a Friend is an excerpt from Hear All The Bells. (Click the link to open the PDF). I started writing Letter to a Friend — believe it or not — as a letter to a friend. She’d just been diagnosed with bipolar disorder and was overwhelmed and confused. She asked if I had any guidance for what to do next. I started jotting down ideas to share with her and kept adding to it over the years. Letter to a Friend is an appendix (pp. 339-359) to Hear All The Bells. Since the book is a narrative memoir, I didn’t want to get too deep into self-help kind of stuff in the main text, but it also seemed important to include some information about tools and techniques that have helped me get better. The ideas in Letter to a Friend are not earth shattering, but I like to think that if I’d read something like this early in my recovery that it might have helped me make better decisions. I decided that making the document available separately & for free on this blog might be useful for folks who don’t have time, energy, or inclination to read the whole book. One topic that the letter doesn’t tackle is the difficulty of accepting a diagnosis and coming to terms with its implications. That theme is so deeply wound into the story of Hear All The Bells that I’d encourage folks dealing with that tremendous challenge to check out the book. Contents of this document may not be reprinted in publications or on websites without permission of the author. Use the Contact form on this website to request permission.